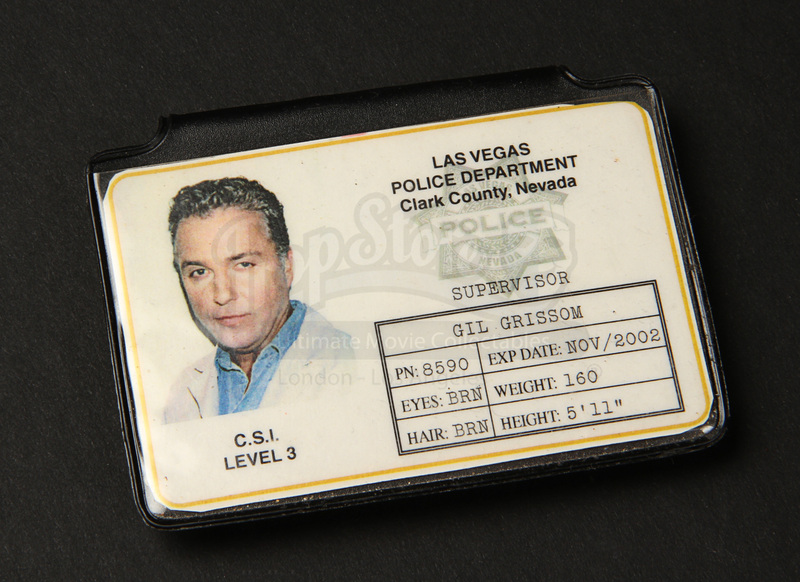 An ID card used in the production of the hit TV series CSI: Crime Scene Investigation. 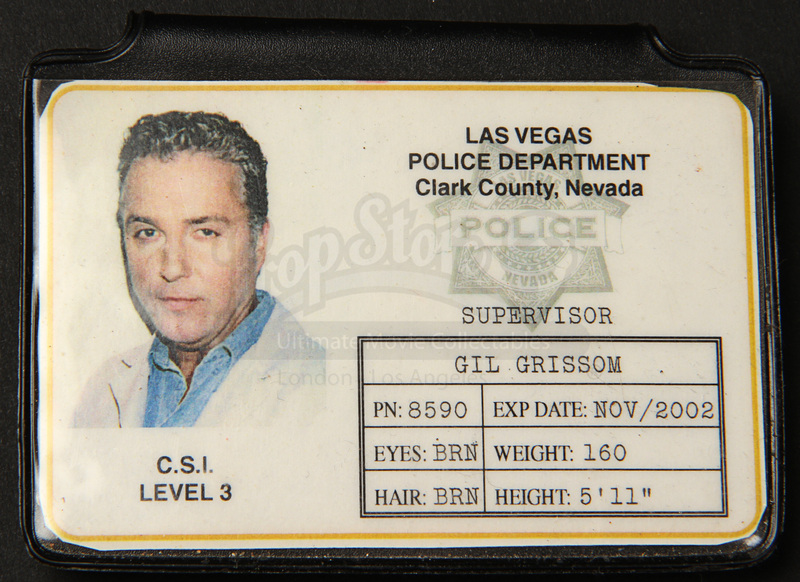 The show follows the work of a Las Vegas crime lab as they try to solve cases using the barest of forensic evidence, with this card and others like it being carried and used by the crime scene investigator and shift supervisor Gil Grissom (William Petersen). Made of thin, flexible plastic and bearing the logo for the Las Vegas Metropolitan Police, the white ID card features a photograph of Petersen as Grissom with the character’s name, height, weight and identifying features alongside, and identifies him as a level 3 crime scene investigator. 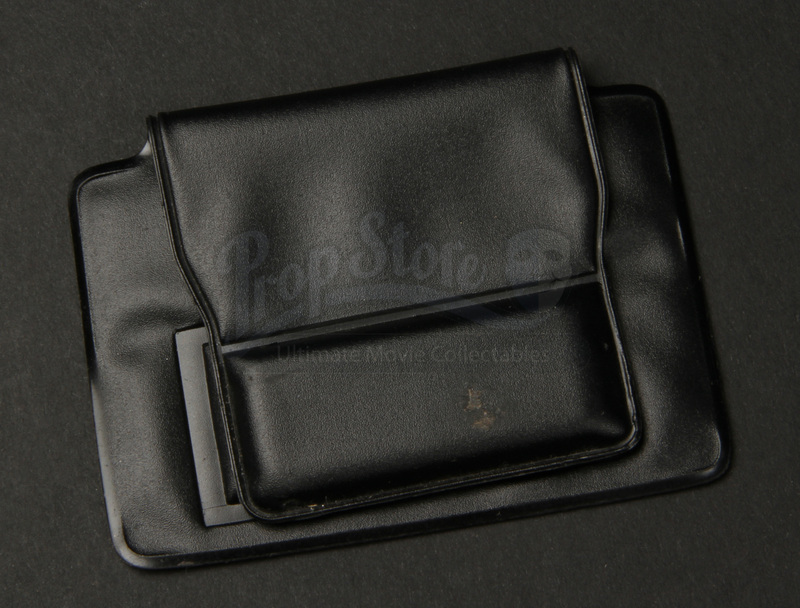 The card is retained in a plastic wallet with magnetic closures allowing it to be worn on a belt or shirt. 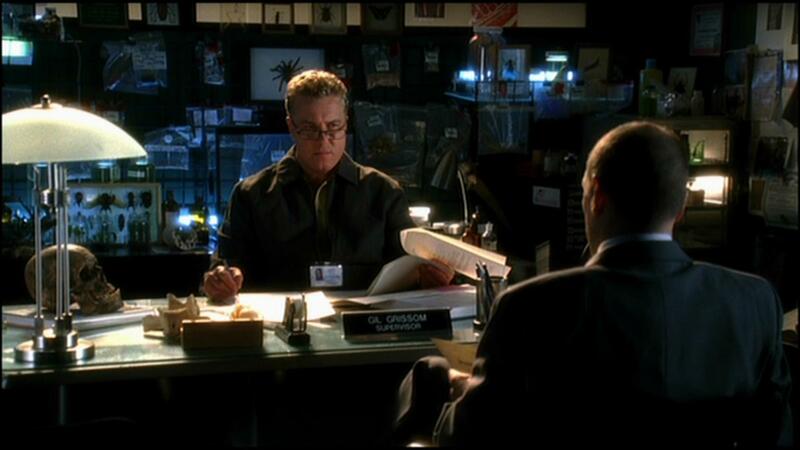 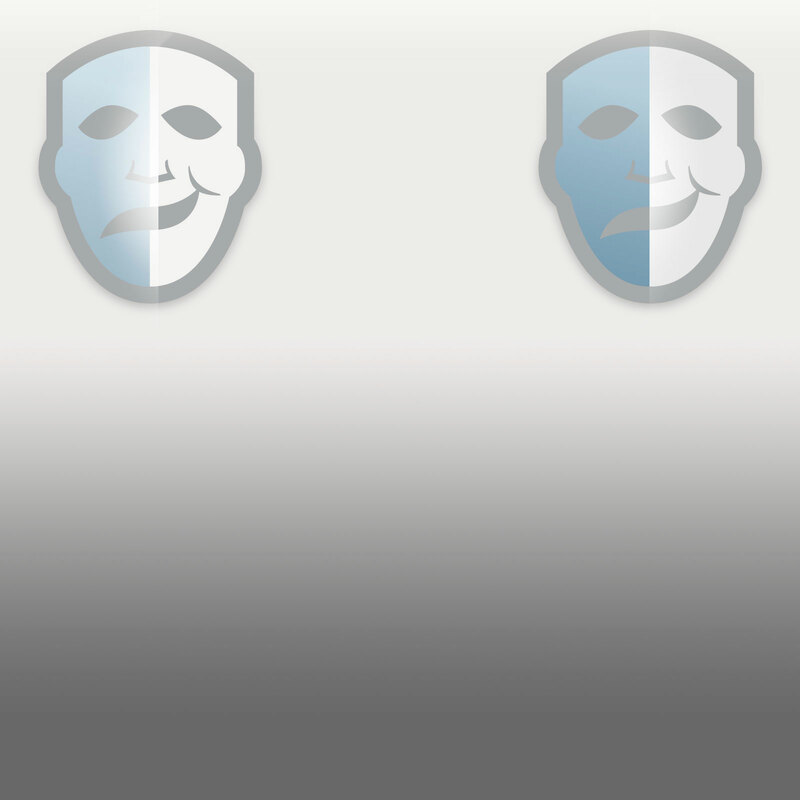 The date on the card – November 2002 – signifies this card as a season 2 ID card. 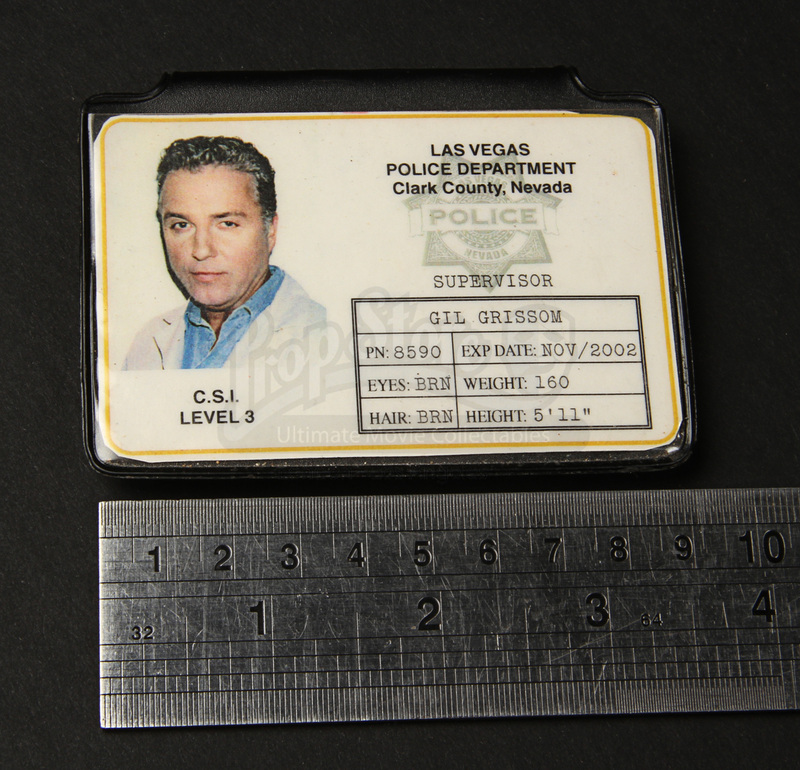 This ID card remains in a good production-used condition, with only minor wear at the edges, and measures 9.5cm x 7cm x 1 cm (3.75” x 2.75” x 0.5”) in its wallet.